Celebrate good times with a touch of whimsy! 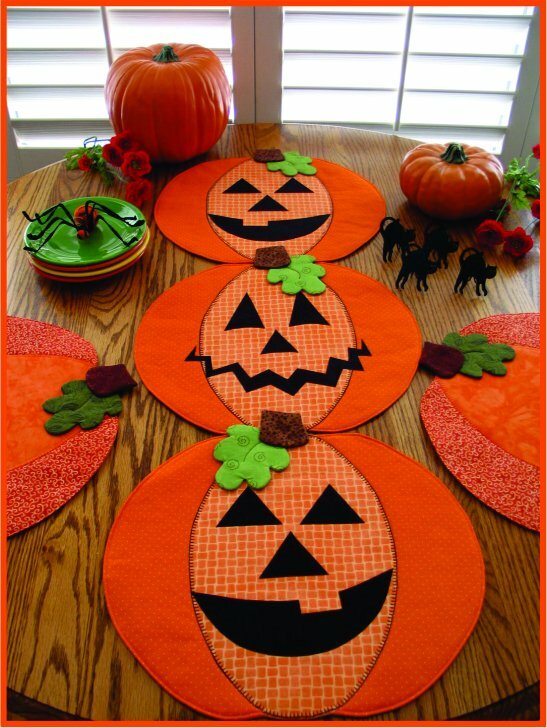 Make these creative place mats, table runners or table toppers for the Fall Season/Thanksgiving, or try the Jack-O-Lanterns for a Fall Birthday or Halloween party! Pattern includes full-sized pattern pieces and step-by-step instructions to make these fun and functional projects. Finished place mat size is: 15" x 13".